Item Number: 310-6-16 19552 Actual Weight: 13 lbs. Ideal for quick clean up jobs. 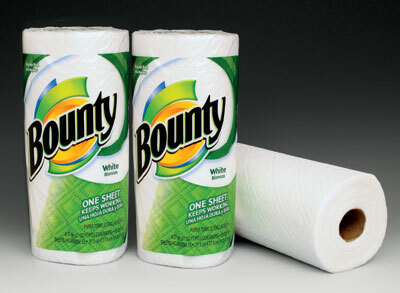 Bounty paper towels are stronger and two times more absorbent than other brands. Each roll contains 40 11" x 10.4" 2-ply sheets.